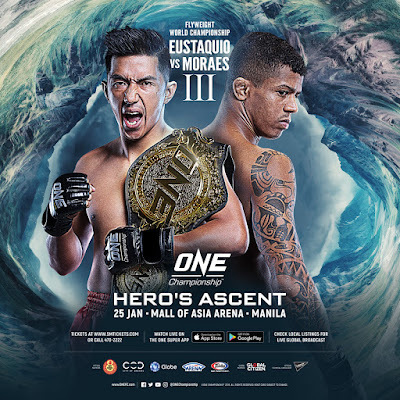 ONE Championship (ONE), has just announced the initial bouts for ONE: HERO’S ASCENT, which is set for the Mall of Asia Arena in Manila on 25 January. Once again, the absolute best in local and international martial arts talent is set to showcase their skills in the ONE Championship cage. 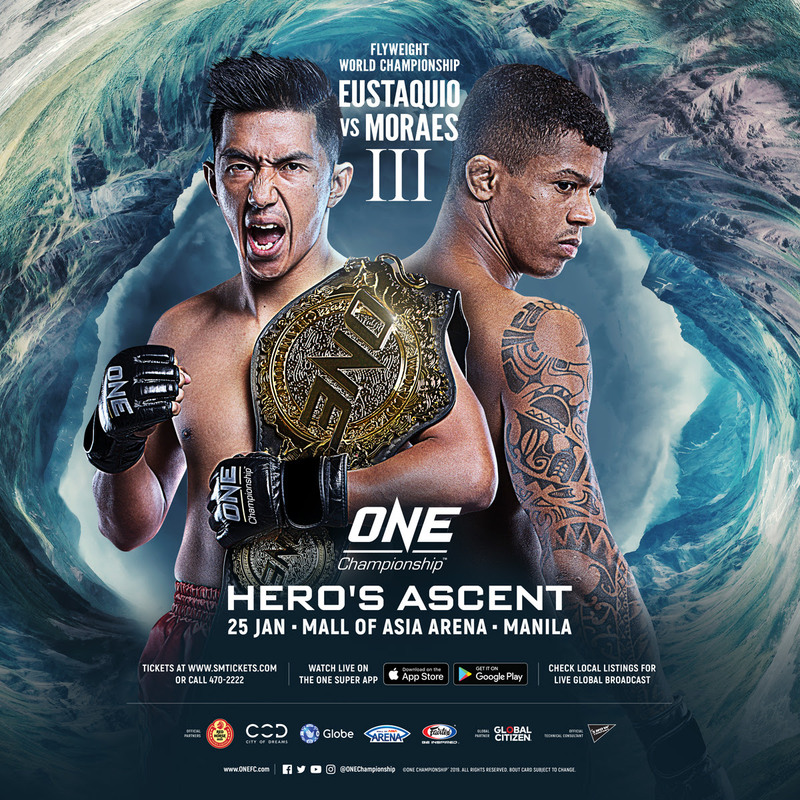 In the main event, reigning ONE Flyweight World Champion Geje “Gravity” Eustaquio of the Philippines will defend his title against Adriano “Mikinho” Moraes of Brazil in a historic trilogy bout. Ticket information for ONE: HERO’S ASCENT is available at www.onefc.com. For more updates on ONE Championship, visit www.onefc.com, follow us on Twitter and Instagram @ONEChampionship, and like us on Facebook at https://www.facebook.com/ONEChampionship.